With most of us being so sedentary is muscle atrophy on the rise? How is it reversed? How do you rebuild severely wasted muscle through diet and exercise? What about those people who lose a ton of muscle from starving themselves? How do they gain that back? I'm not talking about any definition, just regular muscle. Is there any way to rebuild that or is it lost forever? Also, since diet is like 80% of weight loss could you please post more food ideas? Maybe make a post for the best foods to eat for breakfast, lunch, and dinner. The recipes you posted last year were so damn good I just had to ask. You make healthy food look and sound amazing. You are my people. I can't deal with those people living off steamed veggies and chicken. I am not going to get into the science behind muscular atrophy because it would transform this article into a 300 Level Kinesiology essay. So in layman’s terms, when you don’t use it you will lose it. I would not say that atrophy is on the rise but I do agree that our sedentary lifestyles do affect our health. To answer your question, yes you can get your muscle back that you have lost. It is just a matter of spending some time in the gym. I am a big fan of functional body weight exercises like step ups, squats, lunges, push-ups and pull-ups. These types of exercises train the body as it is meant to be moved and they can be done anywhere. The more you move and lift the faster you will regain your strength and rebuild your muscle mass. For those who have lost their muscle mass or muscle function due to an injury or other health complications, supervised rehabilitation is recommended and may require the use of steroids to rebuild muscle. These are extreme cases however, and if you are simply lacking muscle because you have been sitting around too much then you just need to hit the gym, join a boot camp, get a fitness app to follow at home or just start doing some lunges and push-ups daily. You are right in that nutrition plays a large role in changing one’s body composition. There are many diets and ways to eat but I am not going to say one is better than the other as it is all about finding what works for you. I support simple and balanced eating. I do not jump onto any bandwagons nor do I cut foods out of my diet. I eat carbohydrates, I eat protein, I eat fat and I consume sugar. I eat real food and I cook with real ingredients. Today, for example, I had 2 soft boiled eggs on rye toast with a cup of coffee for breakfast, a Larabar for a snack, an apple and piece of cheese for another snack and then an almond butter and banana sandwich. Dinner will be a bowl of homemade turkey chilli, with some grated cheese and sour cream! Last night it was lamb, roasted potatoes and a couscous salad after my 3 hour mountain bike ride, cooked for me by one of my best friends. There are no “best” foods for breakfast, lunch or dinner, but try and design your meals in this way, which I learned from my good friend and Dietician Diana Steele. Your breakfast should be 50% fruit, 25% carbohydrates and 25% protein. Lunch and dinner should be the same but substitute vegetables for the fruit. Eat less at night and more in the morning, fill your body with real food more than foods that come out of a package or a box. Juicing is great but it is even better if you eat the vegetables. If you are busy then meal replacement bars (such as Larabars) are good in a pinch but talk to any dietician or nutritionist and they will always recommend real food over supplements. I will definitely post another recipe or two soon but check out Epicurious for endless recipe ideas or freshthinkingcatering.ca as this is the chef whom I work with to create the recipes. 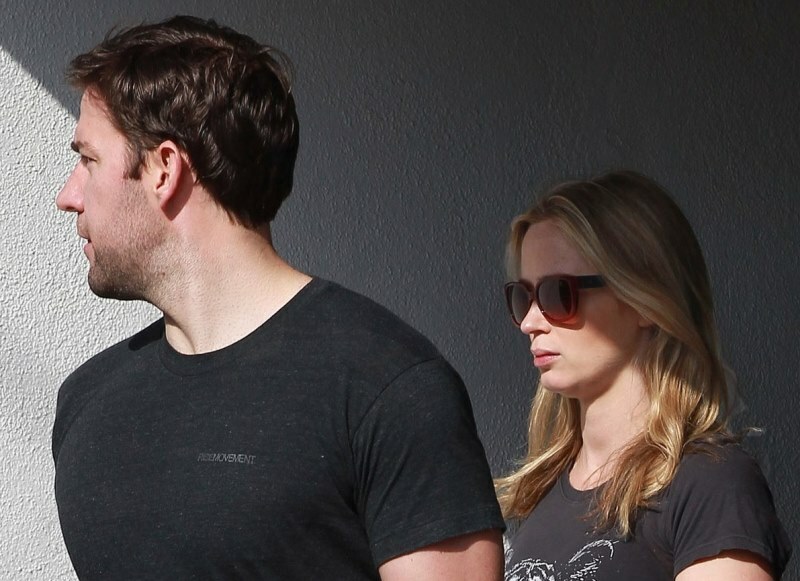 Attached Emily Blunt and John Krasinski leaving the gym.